Gentle plant-derived cleansers help leanse and moisturise your skin. 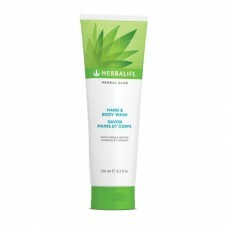 Hand & Body Lotion contains rich Shea butter. Gentle plant-derived cleansers cleanse without stripping skin of essentials oils. Use daily when bathing. For hand wash,use frequently throughout the day. For best results, follow with Hand & Body Lotion.